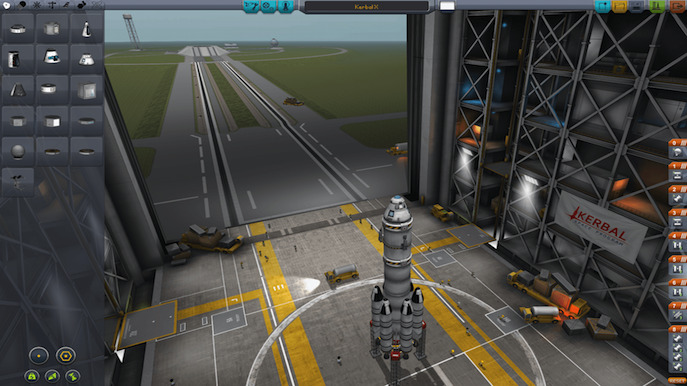 The space program simulator where you can build spacecrafts, fly them and achieve milestones for the strange yet peculiar species of Kerbals. 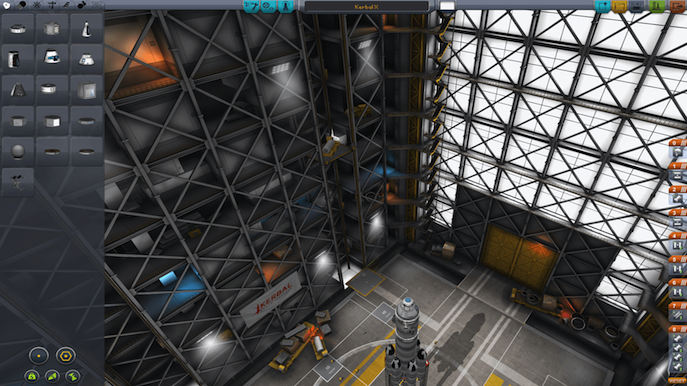 Squad’s funny 3D simulator, Kerbal Space Program finally leaves Steam’s Early Access program, and set’s a new foot for Kerbal-kind on current gen systems, the XBOX ONE and the PS4. How great is it doing on console? Here are a few of my thoughts. Being someone who’s first experience with this title was precisely the console version, there are quite a few impressions that feel adequate to share. First of all, the game is very, very well thought-out in terms of all the gameplay mechanics, science and physics applied to aerodynamics, launching, building pre-requisites and space maneuvering. There’s vehicle assembly (customize as you want), flight simulation, data control and monitoring, crew exploration on vast space. 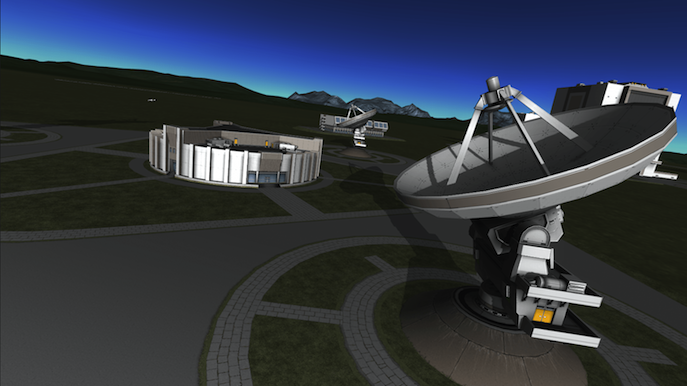 All these features are great; the sky’s the limit (not really, blast off as far as you can!). However I did find some mayor aspects of the game that did bothered me more than they should of. 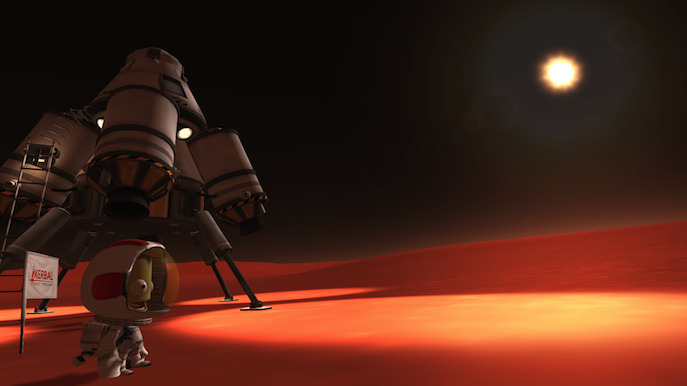 The aesthetic of the game revolves around the space models and the Kerbals, which are the main aspects of the game, their representations. Nevertheless, visually speaking, the game lacks quite a lot. For a console port, the game shows very low textures on models, flat scenarios and the base of operations is in the middle of nowhere on a generic made landscape and some ocean. The amount of texture clipping is surprisingly high, and that’s not even the worse part, the game still doesn’t feel properly optimized as I experiences many frame drops around different menus and gameplay. While these may not be the game’s strongest suit, it’s still worth considering that it pretty much came out of a testing realm, and the game is most likely to keep improving further on with updates. You do have to admit that putting down all the right notches on the whole physics and science shenanigans is pretty much their gold objective from the start, polishing would be afterwards. There are many feelings video games can offer to players, most of which are satisfaction that you achieved something in particular. 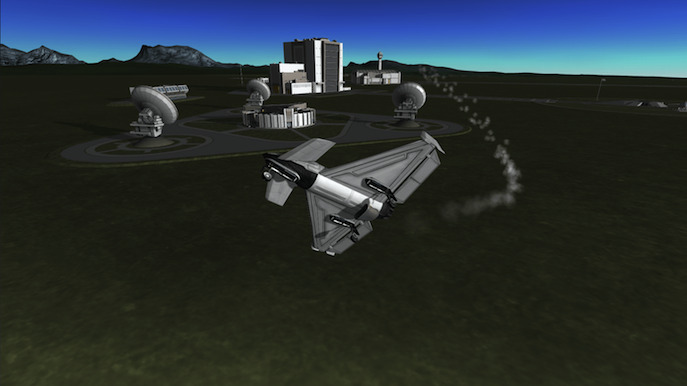 Let me tell you that KSP allows you to feel very well satisfied once you have perfectly launched a spacecraft after munch study on the necessary parts, engines, fuel, aerodynamics, etc… needed for it to fly. 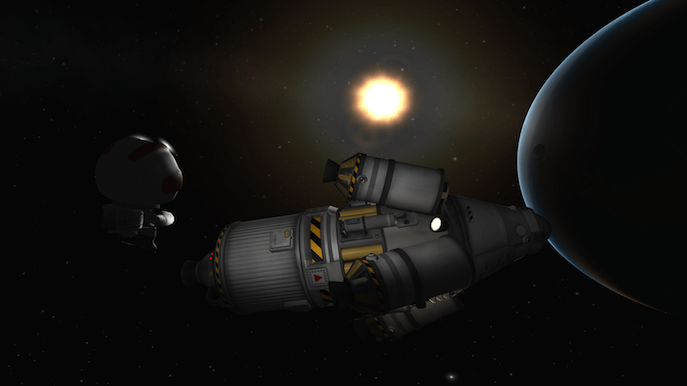 Later on reaching the Moon and obtaining samples, increasing the Kerbal’s knowledge of the universe and then successfully performing a safe landing back on Earth is very satisfying. The pace of the game get’s faster the more you get used to how every craft works and what it needs, and of course once you get to know the UI and learn how to control the meters. It’s all such a great mechanical yet fluid experience once you do everything right thanks to those tutorials. BUT I CAN STILL DO WHATEVER, RIGHT? Of course this is a simulator… Soooo, you can simply go ahead and ignore everything, build whatever monstrosity you like and blast off! Just make sure to get your Kerbals back safely! The game’s character design supports this aspect as well as the writing, it promotes you to have fun and enjoy yourself achieving X goals. The characters have a humor factor and that relieves the stress of a launch sequence. Maybe it’s good to say this isn’t exactly a training program for flight candidates of any sort, while it does have some interesting analysis on it, it’s still a simulator. Putting aside the whole visual aspects that bothered me, the game is a very peculiar piece in the industry; it’s unique and interesting. Like I said, pacing depends on the player, and it will most likely progress and get faster each time. Learning curve is softening by the tutorials, so they are very much worth a look. Who said that Rocket Science was easy anyway? Now go there and explore this fascinating sandbox. Hola Para cuando saldra ksp para ps4 en europa ??????? ?